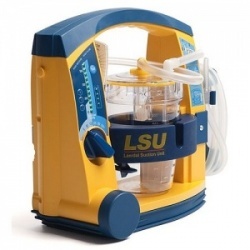 The Laerdal Suction Unit with Reusable Canister is an integral part of emergency care as it helps clear your patients' airways. When using the machine, it's important to ensure you use a filter to prevent aerosols from entering the pump unit. The Aerosol Filter has been designed for this function. 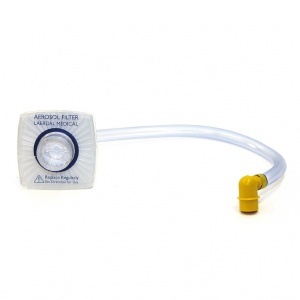 The Aerosol Filter has been designed to prevent aerosols from entering the pump unit. As such, it is recommended that the filter is replaced after each use or at least once every shift. If you're using the Suction Unit in an area where cross contamination is not an issue, the filter should be replaced at least once a month. If the Aerosol Filter becomes wet, it should be replaced immediately or as soon as possible after use. As such, it is recommended that you always have extra Aerosol Filters with the Reusable Suction Unit in case one has to be discarded. The Aerosol Filter for the Laerdal Suction Unit with Reusable Canister will be subject to a delivery time of 3 - 4 working days after the point of order. For more information, contact our Customer Care Team at 020 7501 0593. Delivery was very quick and product performed exactly how we needed it to.